The incidence of gastroschisis is rising worldwide. In developed countries advances in neonatal intensive care (NICU) and the availability of total parenteral nutrition have improved survival for such patients, but in the third world mortality rates remain high. The aim of this study was to evaluate the impact of modern intensive care facilities on the mortality of babies with gastroschisis in Africa. A retrospective review of all neonates admitted with a diagnosis of gastroschisis at Inkosi Albert Luthuli Central Hospital in Durban over a 6-year period (2002–2007) was conducted. A total of 106 babies with gastroschisis presented during the review period. 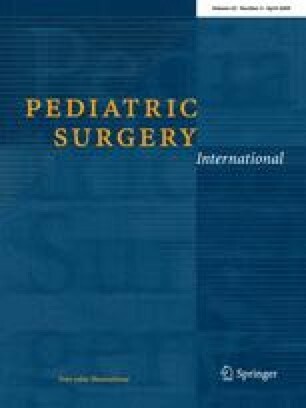 The prevalence of gastroschisis amongst neonatal surgical admissions increased from 6% in 2003 to 15% in 2007. 72% of patients weighed less than 2.5 kg at birth and 64% were premature (<37 weeks gestation). 91% were “outborn” with 71% delivered vaginally. Median maternal age was 22.6 years and 57% of mothers were primiparous. Primary abdominal wall closure was possible in 74% of patients. The overall mortality was 43% with sepsis being the leading cause. Staged closure was associated with a higher mortality than primary closure. The prevalence of gastroschisis amongst neonatal surgical admissions appears to be increasing. Most babies were “outborn” resulting in delays in diagnosis and referral for surgical management. Despite the availability of NICU and total parenteral nutrition the mortality remains high. Reduction in mortality will depend upon improvements in antenatal diagnosis, primary care and transportation, as well as a reduction in postsurgical sepsis.